The development of the US biosimilar industry passed a key milestone yesterday after an FDA advisory committee backed approval of Celltrion's infliximab. The product - a copycat version of big-selling arthritis therapy Remicade sold by Johnson & Johnson - is the first monoclonal antibody to reach this regulatory stage in the US, although biosimilar MAbs have already been launched in other markets including Europe. If the FDA follows its panel's advice and approves Celltrion's infliximab it will be sold in the US by Pfizer, which acquired rights to the drug and a portfolio of other biosimilars when it took over Hospira last year. The drug is also only the second biosimilar to be approved in the US after Novartis/Sandoz' Zarxio (filgrastim-sndz), which is a copy of Amgen's white cell stimulator Neupogen (filgrastim). Remicade was the third biggest-selling pharmaceutical product worldwide in 2014 with sales of more than $10bn, with a little under half that total coming from the US market. Even if approved, the timing of a US launch is uncertain however and will likely depend on the outcome of litigation between Celltrion and J&J, which has been busily adding patents to its intellectual property (IP) portfolio for Remicade and claims to have protection until 2027. Nevertheless, Pfizer's head of global biosimilars Jenny Alltoft said that the firm is "moving ahead with the preparation of our launch plans for 2016", adding that Pfizer intends to bring its biosimilars to patients in the US "as quickly as possible". Celltrion won approval of its biosimilar in Europe a year ago, and the drug was quickly launched there by a number of different companies in competition with Remicade, which is sold in Europe by Merck & Co group companies and accounts for around $2bn in EU sales. 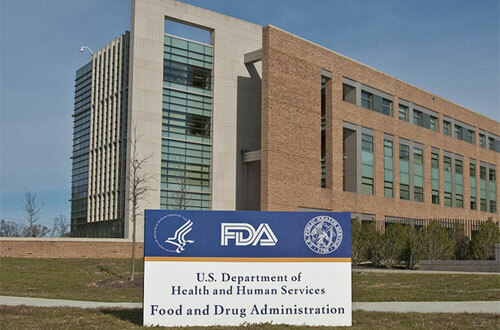 The FDA advisory committee voted by 21 to 3 that Celltrion's infliximab should be approved for all Remicade's indications, which along with rheumatoid arthritis include Crohn's disease, ulcerative colitis, psoriasis, psoriatic arthritis and ankylosing spondylitis. Meanwhile, the US regulator is also reviewing biosimilar versions of other MAbs in the same class as infliximab - including a version of AbbVie's Humira (adalimumab) in development at Amgen that is due for a regulatory verdict in September and a biosimilar of Amgen's Enbrel (etanercept) developed by Sandoz. Both AbbVie and Amgen also claim to have patent protection that will block competition from biosimilars for several years.